Gather the ingredients for making Tofu Jun. 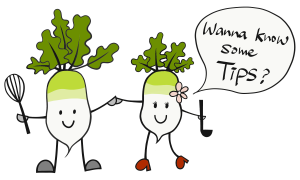 Cut the tofu down to size. Place a sheet of paper towel on a plate. 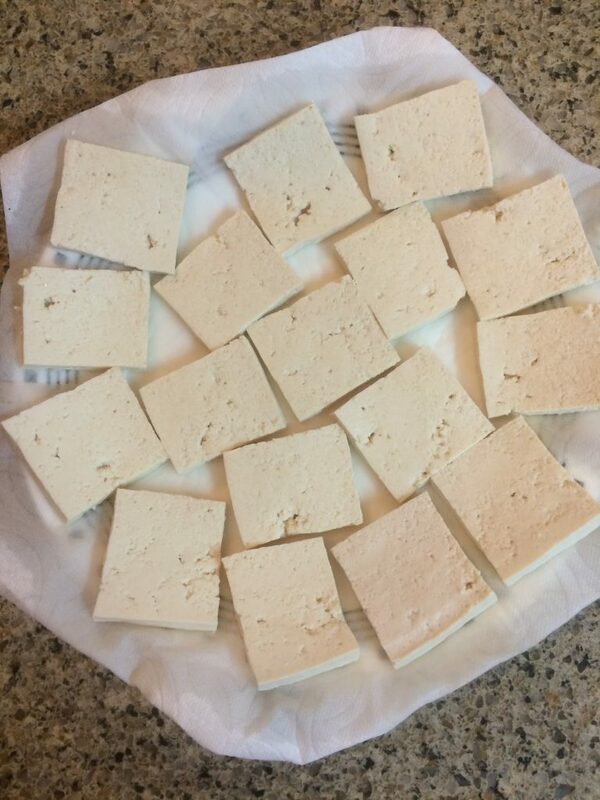 Slice tofu and place them on the paper towel to remove excess water. 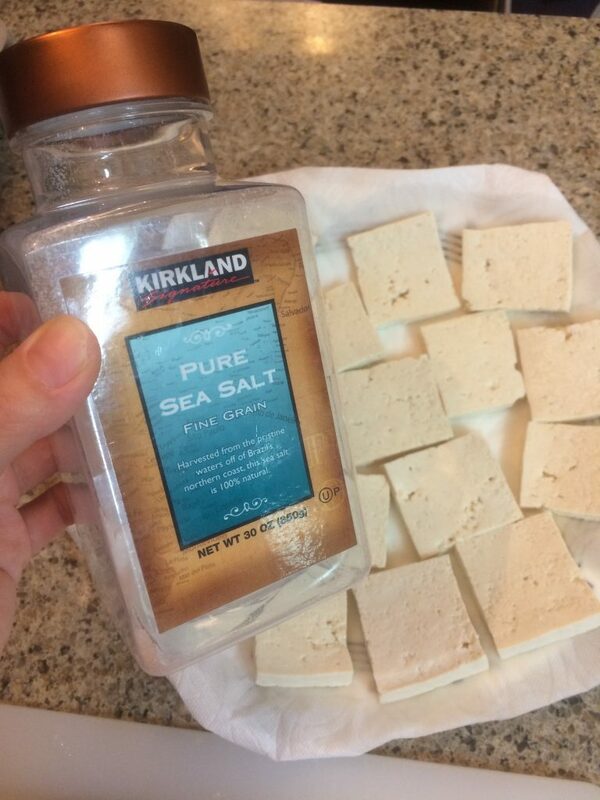 Season tofu lightly with salt. Let it sit for 5-10 minutes. 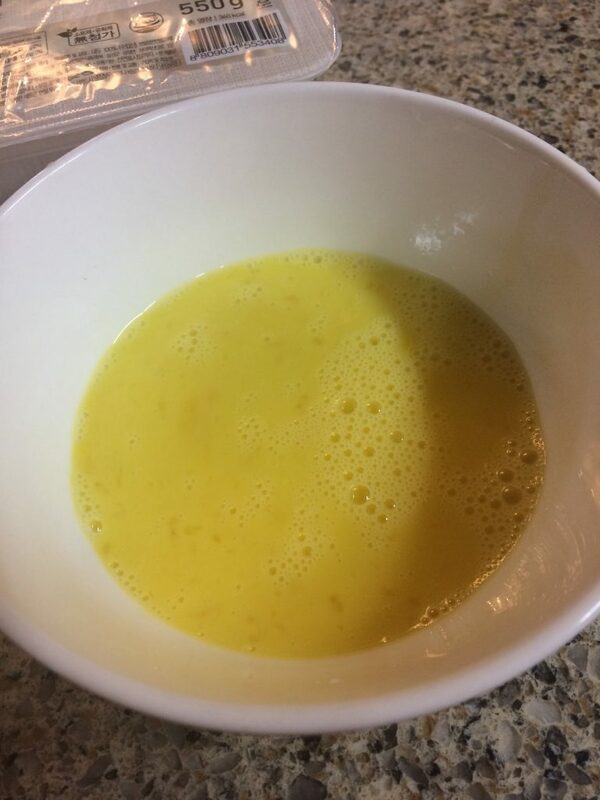 Whip eggs in a bowl. 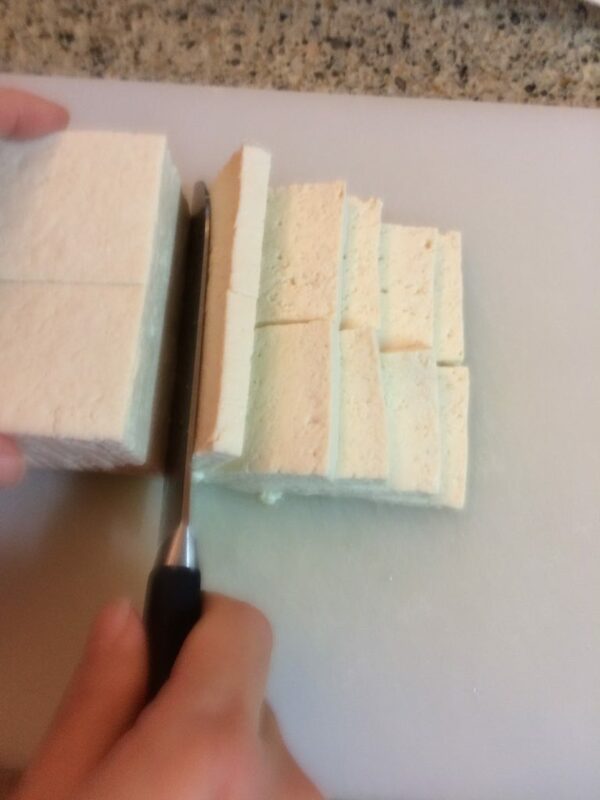 Lightly pat tofu with paper towel to remove rest of the water. 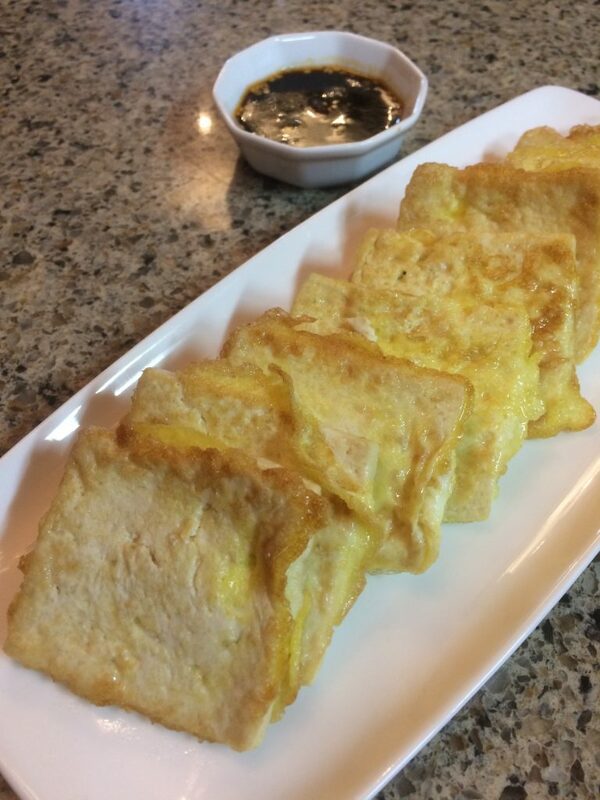 Dip tofu into an egg, coat evenly. 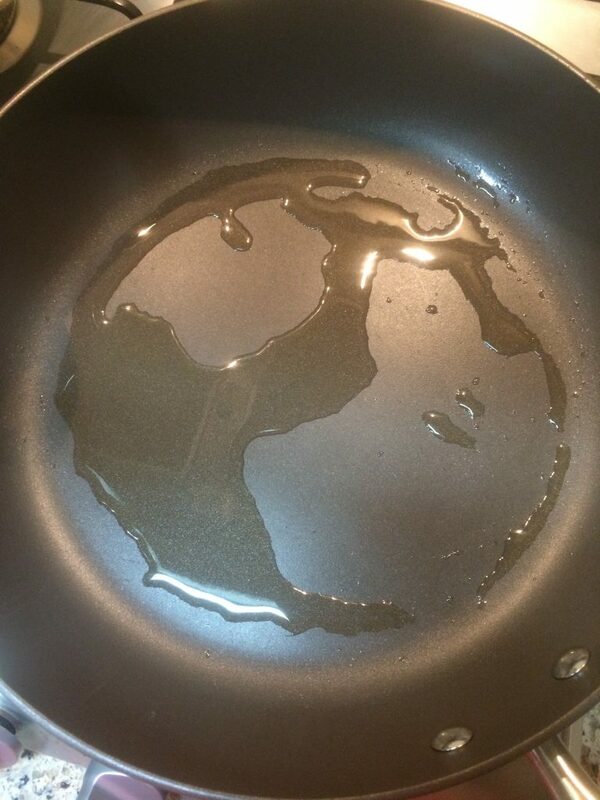 Start a non-stick pan with avocado oil on a low heat. 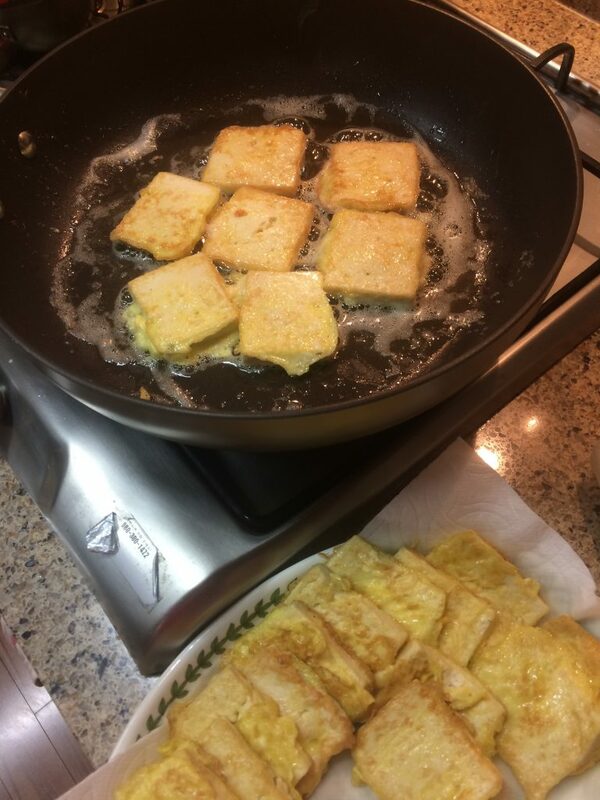 When the oil is ready, gently place each tofu in the pan. Change heat to low medium. 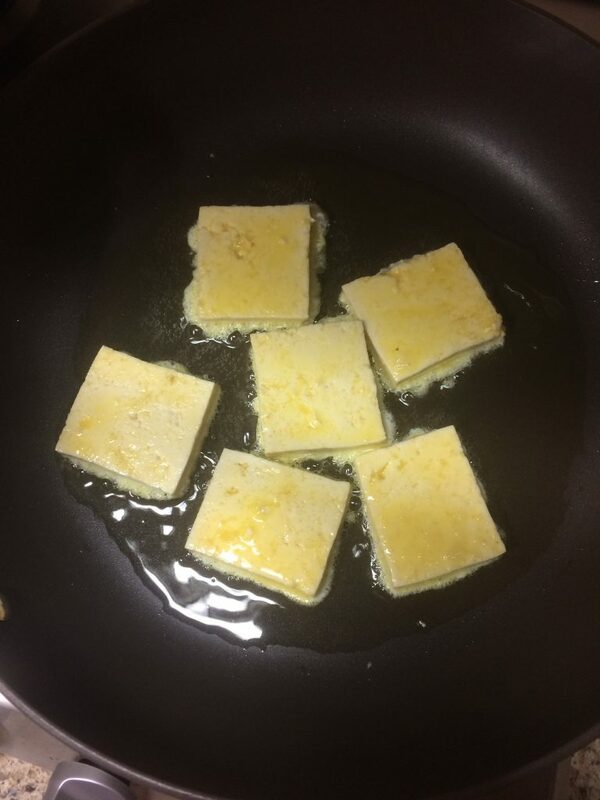 After 3-4 minutes, flip tofu. 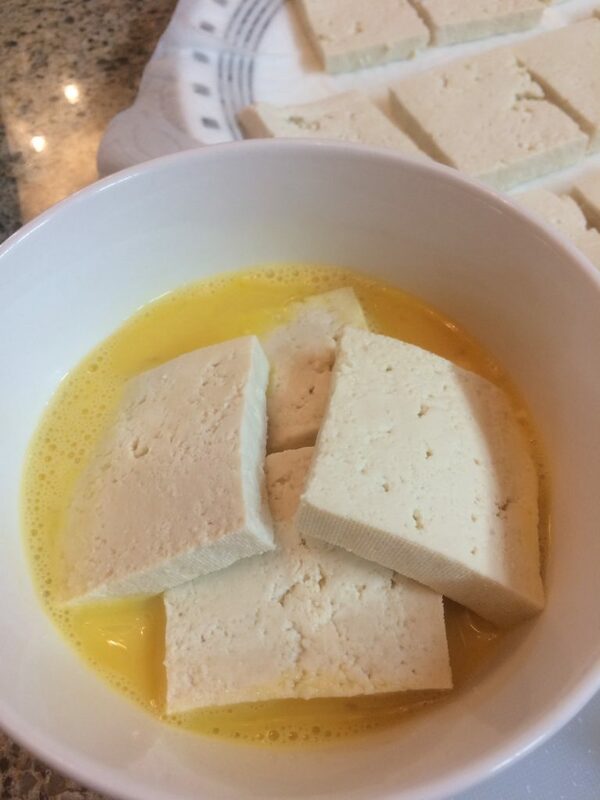 The top of tofu should be light brown color. Cook until the other side becomes light to golden brown. Mix the above ingredients and serve. Use a skillet that is made for sautéing. Sautéing is different from frying in that you you use only enough oil to cook the food on one side. In sautéing you cook food on one side then flip the food over and cook the other side. This is different then deep frying or pan frying where you fry the food either completely immersed or half immersed. With sautéing you want to dedicate a stainless steel or non-stick pan for sautéing, so it maintains is non-stick properties. 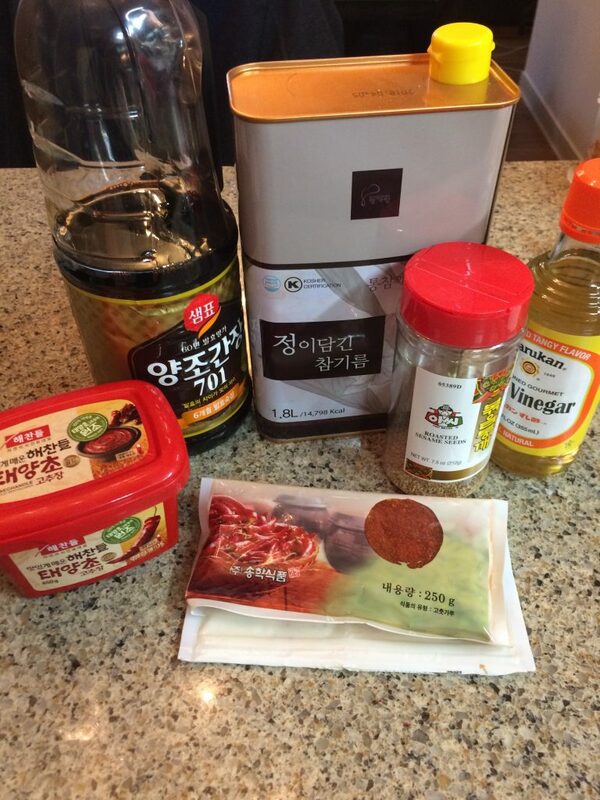 To make Dooboo Boochim, start by preparing your ingredients placing them near the stove where you ca work each step. 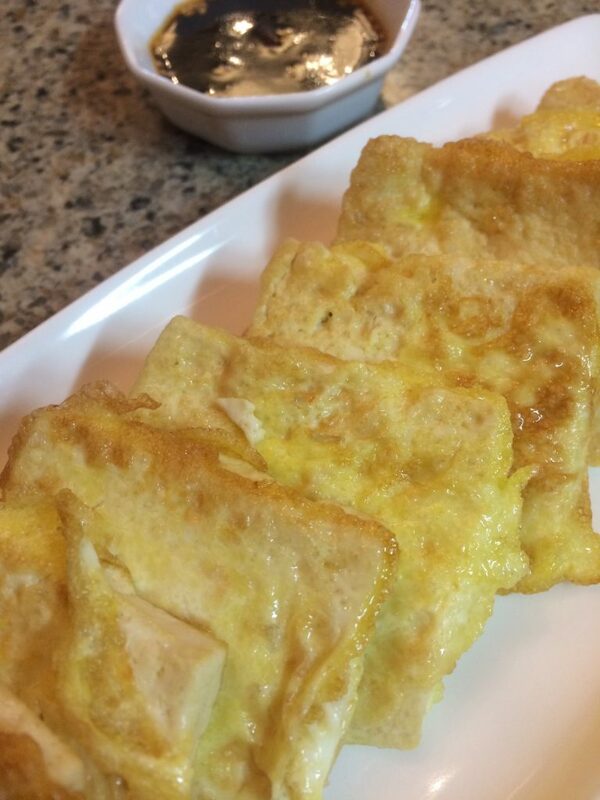 Have the prepared and salted Tofu on one plate. 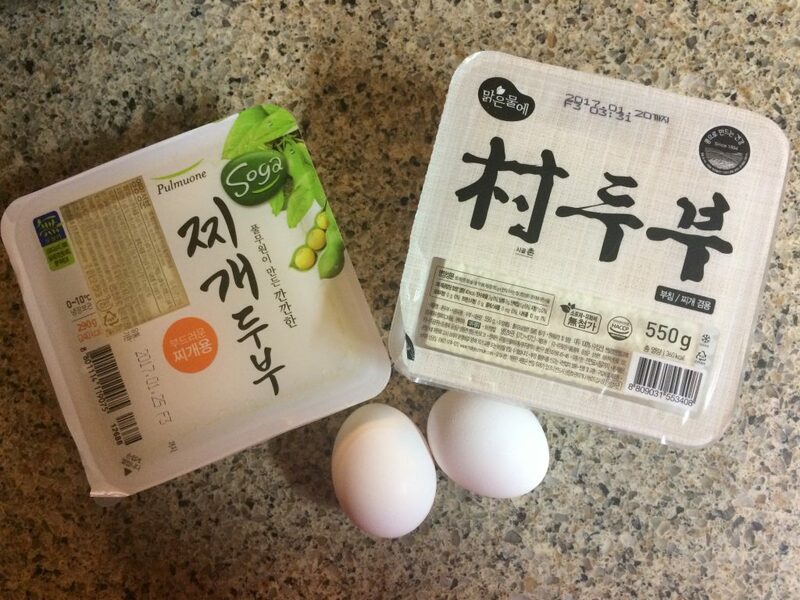 Have the whipped egg prepared in a bowl that is wide enough to dip the Tofu. Finally, have a clean plate to rest the prepared chicken. Once your assembly line is ready follow the instructions.